Hong Huifang giving her acceptance speech while Pan Lingling looks on from the back. In a twist of fate, both Pan Lingling and Hong Huifang shared the stage as the pair were among the Top 10 Most Popular Female Artistes. And punters could have bet that it was going to be awkward, because it was, if only for a moment. For the uninitiated, this was the first time the two veteran actresses were seen sharing any sort of spotlight together since their very heated and very public feud last year. Viewers were probably clutching their pearls as Huifang made their way to the stage, anxious to see how they would interact. While Huifang was giving her acceptance speech, Lingling was clearly visible in the background with a tight smile that looked just a little uncomfortable, to us. Lingling eventually appeared more relaxed, easing into a more natural smile as Huifang took her place in the line-up, while her friend and fellow winner, Chen Xiuhuan, gave her a warm hug. Huifang even embraced Jesseca Liu (who was positioned in between Huifang and Lingling) and though Lingling looked over at Huifang, she didn't seem to notice. If you were watching with bated breath, you're probably not the only one. This year also marked the 25th anniversary of the Star Awards and the ceremony at various points paid homage to the actors who have graced our televisions through the ages. It started with a parade of Star Search (a Mandarin talent show) alumnus from 1988 to 2010 and oh boy, nostalgia was the name of the game for this segment. Familiar faces such as Jeff Wang, Nick Shen, Lina Ng, and Florence Tan even came back to join in the reunion. It was also announced that Star Search would be returning in May this year, following a nine-year hiatus. Veteran actors and actresses dominated the ceremony by sweeping most of the awards - especially the top categories. 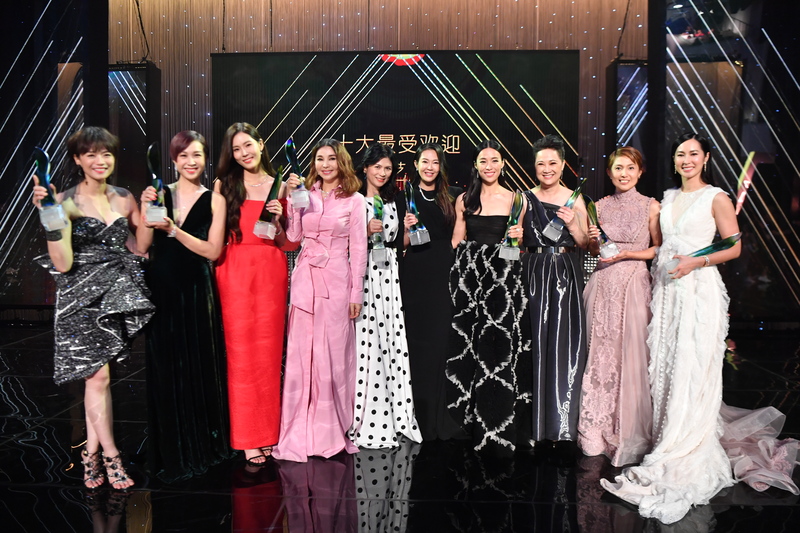 Chen Shucheng and Lin Meijiao bagged Best Supporting Actor and Actress respectively; while BFFs Chen Hanwei and 'Ah Jie' Zoe Tay snagged the coveted Best Actor and Best Actress trophy. Other veteran actors and actresses who won in the Top 10 Most Popular category include Zheng Geping, Zhu Houren, Shucheng, and Lina. Meanwhile, Chew Chor Meng accepted his Special Achievement Award with a rather touching speech; and Kym Ng was feted as the All-Time Favourite Artiste this year after winning the Top 10 Most Popular Female Artistes category for the 10th time. 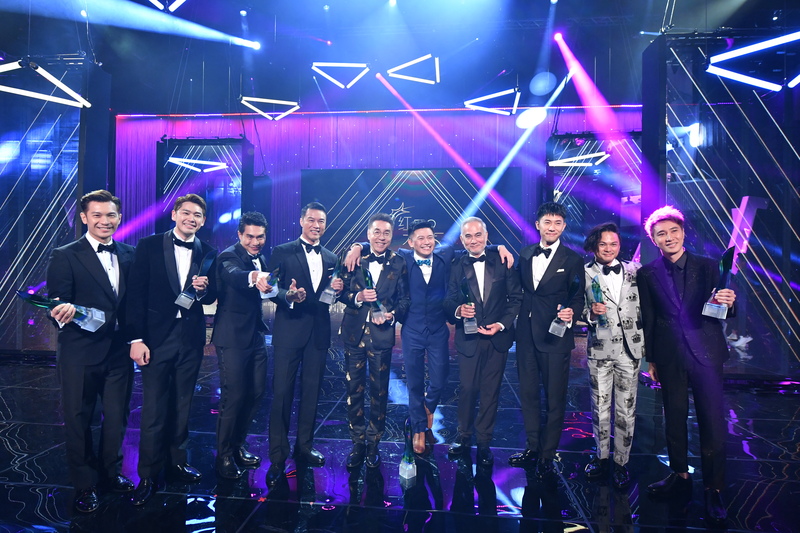 Without a doubt, the show also organised a tribute to the late Aloysius Pang with a joint performance by his Noontalk Media colleagues - namely Xu Bin, Gavin Teo, Zong Zi Jie and Timothee Yap. 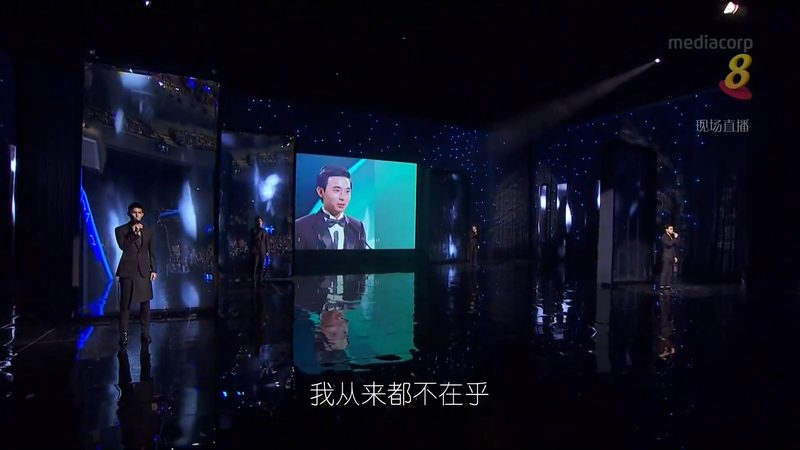 They serenaded the audience with the song, Voices From The Heart, and Aloysius' own singing was also included. There wasn't a dry eye in the audience during the tribute as the celebrities broke down, including Aloysius' girlfriend Jayley Woo and Shucheng. Well, we think it's probably safe to say that Aloysius would have been proud that his mentor Dasmond Koh also snagged a spot among the Top 10 Most Popular Male Artistes this year, thus marking his 10th win in the category. Which means, we'll see him collecting his All-Time Favourite Artiste award next year.